On Wednesday, Xi Jinping spoke at a national Chinese Communist Party (CCP) meeting to officially mark the end of the mass line campaign. While state media praised the campaign’s achievements, Xi took a far different tone. He emphasized that the mass line campaign was just the beginning of a life-or-death struggle for the CCP – the battle to win back public support. The suggestion that the CCP is in danger of losing public support seems puzzling, especially coming from top Party leaders. Opinion polls consistently show that Chinese people overwhelmingly support the current Chinese government. Yet there are signs of trouble. 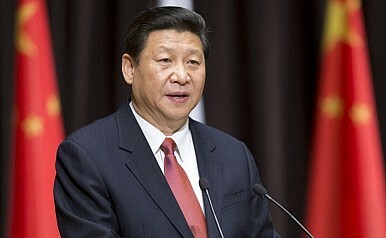 In an article for The Diplomat published last June, Wenfang Tang, Michael S. Lewis-Beck, and Nicholas F. Martini argued that “political trust – a belief in the legitimacy of the government – appears as the dominant reason for their broad support of the political system.” It’s understandable, then, that the CCP would be incredibly sensitive to any perceived erosion in political trust. It’s interesting, then, that Xi Jinping, in his speech to Party members, was not overly interested in praising the campaign’s successes. Instead, he warned Party members that the root cause of the problems, “lax Party management,” had not yet been addressed. Xi also acknowledged that a short-term campaign driven by fear of punishment is not a long-term solution. If Party management does not improve, Xi said, CCP rule is not sustainable. Xi emphasized that rules and regulations must be strictly and equally enforced to shore up Party discipline – and that “unwritten rules” need to be abolished. Clarify the responsibility for governing the Party itself – without clearly outlining what Party branches are responsible for, the tasks of Party management will not get done. In essence, Xi is demanding that each Party apparatus, at every level of governance, devote its attention to carrying out Party edicts and ensuring accountability to the center. In particular, Xi rejected the idea that Party officials can largely toe their own line as long as they provide economic growth in their regions. “If our Party is weak, divided, and collapsing, what’s the meaning of having other achievements?” Xi asked. Take seriously the political life within the Party. According to Xi, this is how the Party can educate and manage its members. Xi pointed to variant political strains within the CCP that must be weeded out: liberalism, decentralism, “nice guy-ism” (overly prioritizing getting along with everyone), and individualism. As with requirement #2, the problem can be solved by focus more on ideological education; Party members must understand the uniqueness and the desirability of China’s system. Continue to deeply reform work styles. The farther the CCP moves from the “undesirable work styles” targeting by the mass line campaign, the closer the people will be to the Party. The issue of work styles touches on the very survival of the CCP itself, Xi said. He acknowledged progress made under the mass line campaign, but warned that without further efforts all those gains could be lost now that the campaign is over. Party disciple must be strict an impartial. All Party members must be equally before the law, Xi said; there are no “special Party members.” All Party organizations must “normalized and systemize” education on and enforcement of Party regulations. Xi also warned local Party organizations not to attempt to downplay or cover up disciplinary violations. Follow the rules for maintaining strict Party discipline. The CCP must look to its own history, as well as examples from abroad, to determine the right approach to Party management. In essence, Xi’s emphasis on Party management is his answer to the central question facing China today: can the CCP co-opt the major benefits of a democracy (accountability, responsiveness, and transparency) without actually democratizing? Xi obviously believes the answer is yes – a return to the CCP’s ideological roots couples with strict disciplinary action seems to be his magic formula. Among the eight proposals, the most interesting is Xi’s call for greater public oversight. The relationship between Party and people in modern China remains an open question and Xi’s attempts to resolve this issue will be fascinating to watch as his term unfolds.